Fellowships/Scholarships: Institute Brasileiro de Bibliografia e Documentaçâo, Rio de Janeiro, Brazil, 1961; Center for Advanced Study in Behavioral Sciences, Palo Alto, California, 1967; National Institute of Education Scholarly Publications Workshop, San Francisco, California, 1978; Vocational/Technical Education Administrators, New York 1979-81; Senior Fellow, Hispanic Association of Colleges and Universities, (HACU) Washington, D.C., 1993-94. Grants-in-Aid: Research Foundation of SUNY and State University College at Brockport President’s Funds, 1975-77. Travel Grants: UNO Fellowship, University of Illinois, 1968. Sociology research in Guatemala, University of Illinois, 1970. Training Grants: New York State Education Department, 1978-81. Promotions: Recommended and endorsed for both the Rochester EOC Director and the President of SUNY Brockport – summer of 1982. Recommended and endorsed for Associate, Special Programs, State University of New York System Administration, 1982. Appointed Director of Hispanic American Affairs, State University of New York System Administration, 1989. Research Grant: Department of Sociology, University of Illinois, 1970-71, State University of New York Scholarly Research Grants 1973, President’s Research Award, State University of New York at Brockport, 1976. 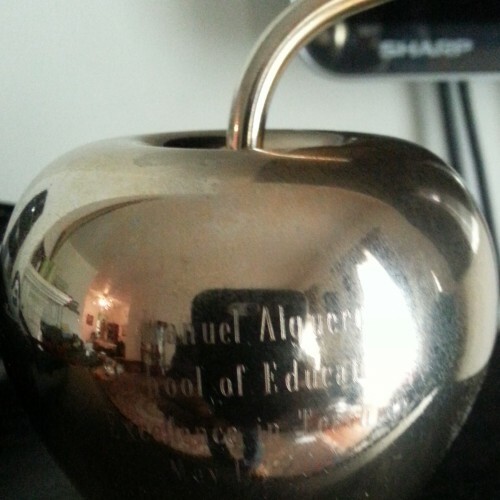 Excellent in Teaching Award, 1998, School of Education , University at Albany, NY; Award for Excellence by the State of New York and the Hispanic Heritage Month Committee, 1999, the latter signed by Governor George Pataki and Lt. Governor Mary Donohue. 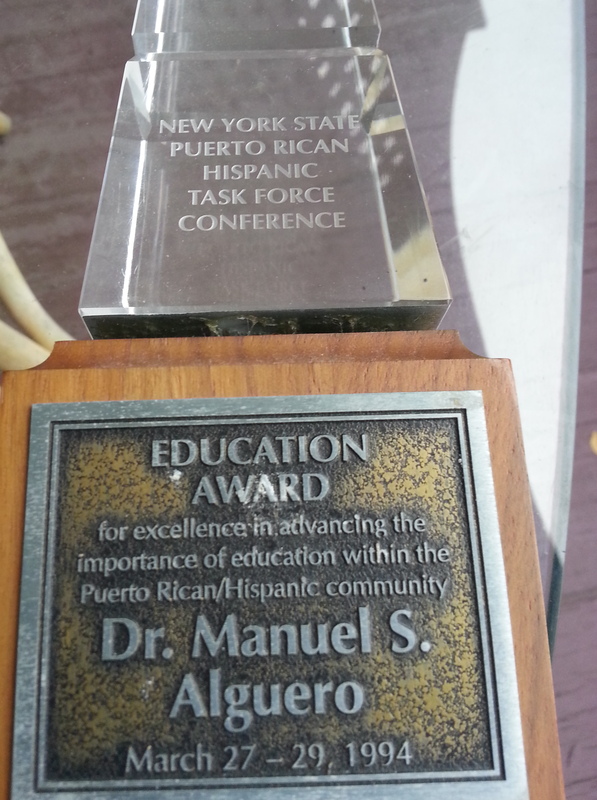 Outstanding Services Award, Hispanic Association of Colleges and Universities, Washington, D.C. 1994; SUNY Recognition Award 1991. Board of Hispanic Information and Television Network, New York, New York and Albany, New York 1993; Simón Bolívar Award by Fuerza Latina, State University at Albany, 1991; Family Service of Rochester, Inc.; also in Rochester, N.Y.: Ibero-American Investors Corporation, Inc.; Apostolado Católico, 1980-82; Hispanic Political Coalition, 1982-85. WMHT Educational Telecommunications, Inc. (Schenectady/Albany, N.Y.) 1983-90; Albany Institute of History and Art, 1991 to date. Capital Region Youth Tennis Foundation, Albany, N.Y. 1990 to date; Troy Music Hall 1992.